Located in the heart of Glasgow’s Merchant City, this modern boutique hotel boasts nicely decorated rooms and good food. Wi-Fi is free to all guests. Glasgow Airport is a 15-minute drive away, while the M8, Central Station and Queen Street station are 5 minutes away. 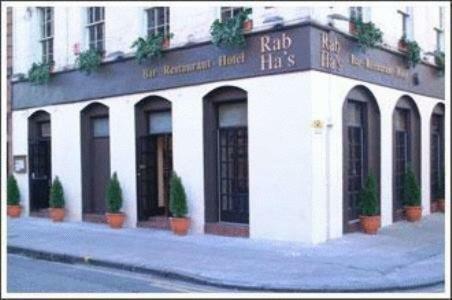 The Rab Ha''s hotel is 2 minutes to all the best bars, restaurants and shops Glasgow has to offer. All rooms at the Rab Ha''s have an en suite bathroom with Arran Aromatics toiletries. The rooms are equipped with a full satellite television package so guests can relax in peace to watch a movie or their favourite sports show. Set in a cosy cellar, the restaurant serves Scottish dishes prepared with local ingredients. The bar has an extensive list of drinks and a bar menu including traditional favourites is available.